Play really is a child’s work. Your toddler will be busy all of their waking hours exploring the world through play. Giving your child a variety of play opportunities throughout the day will allow them to develop their communication, social, and motor skills. Your toddler will love a range of experiences throughout the day including sensory play (being in the sandpit or playing with water), active play (running at the park and exploring the playground) and quiet play (sharing books and playing with toy animals). Even though your toddler is becoming more independent, you are still their favourite toy! 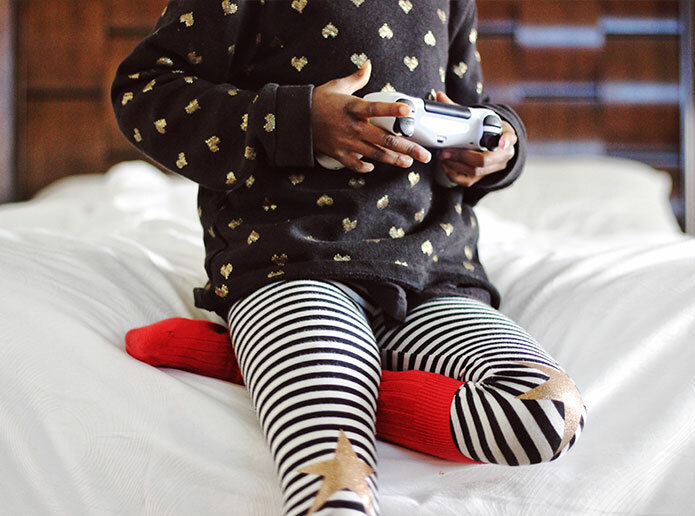 Your toddler needs your help to learn how to play. From watching you stack blocks, build sand castles, and feed their toy animals, your little one will learn fun ways to play. Toddlers love to play simple turn taking games with you. Try taking turns to blow bubbles or knock over a tower of blocks. Turn taking games help your child develop very early social skills. You can play a key role in helping your child develop play skills by engaging with them and showing them new and fun ways to play with objects. Your toddler will also start to copy your everyday activities during play, such as pretending to talk on the phone, or feeding their teddy. This is called symbolic play. As they get a little older they will enjoy more complex pretend play, like using a large cardboard box as a car and driving to the beach or going on a picnic with all their teddy friends. Symbolic and pretend play is a great way to develop your toddler’s imagination, creativity and attention skills. Remember, your toddler is still too young to be able to share with other children. They also don’t have the communication skills to negotiate with other children or the capacity to wait patiently. This makes playing with other children very tricky. 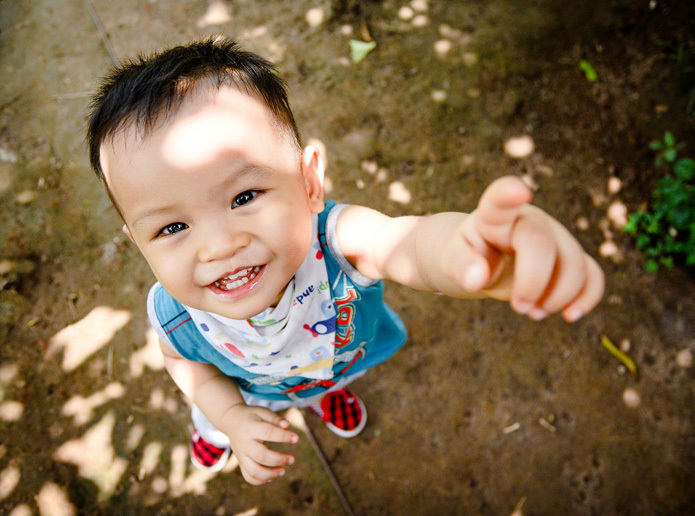 It is a great idea to give your toddler lots of time playing alongside other children, but be ready to help them when they need to share or negotiate with other little ones. Toddlers learn so much through sharing books with you. 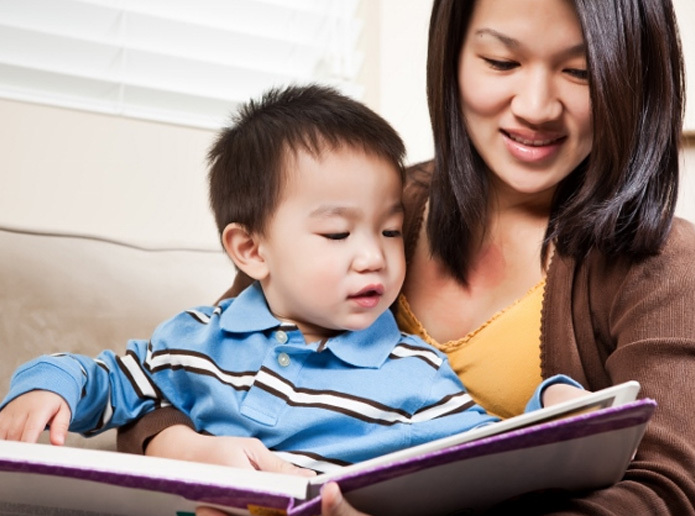 Sharing books is vital for your toddler to learn skills like how to hold a book and turn pages. Through quality children’s books they will also learn the meaning of new words. Try to make sharing books part of your everyday routine. It doesn’t matter if your toddler doesn’t sit to listen to the whole story, the important thing is that they are enjoying it. Check out the best ways to share books with your toddler. Balls of all sizes are a great toy to encourage hand eye coordination, gross motor skills (like kicking, running and throwing) and taking turns. Roll or kick a ball to one another or use the ball to knock down your tower of blocks. Pack a ball in the car so that it is with you when you are out and about. Head down to your local hardware store and ask for a few boxes to turn into your very own indoor cubby. Your young toddler will love crawling and exploring through the boxes. As they get older they will enjoy pretending that the box is a house or a train. Give them some crayons and let them draw on the boxes to their heart’s content. Toddlers learn through their senses. Playdough is a fantastic sensory experience that encourages your child’s fine motor development. Their little hand muscles will be practicing rolling, squashing, pinching and kneading the dough. For an added sensory experience think about adding lavender, rosemary or other fragrant plants from your garden (make sure they are safe). You can also add glitter or uncooked rice for added texture. Check out this easy playdough recipe. Getting wet and sandy is a dream come true for most toddlers. Through sharing this amazing sensory experience with you, your toddler will be learning concepts such as wet and dry, full and empty, float and sink. They will also be getting used to a variety of textures and sensations on their skin. Remember to always watch your toddler closely around water. Dolls and soft toys are ideal for showing your child pretend play. Put a blanket over the teddy and kiss him good night. Take the clothes off the doll and pretend to give her a bath. Through pretend play, your child is practicing familiar routines and learning all the words associated with them.